I have my Lumia 950 for 13 months now and have no problems with reboots. Since MS abandonded it, the available accesories already started to vanish from the market, including batteries. I ordered a BV-T5E supposedly original MS from a German Seller (Sales-force) and got the following battery, which is different than the original that came with my phone. The letterings are brighter white with somewhat different style and text layout. There is no white rectangular label in the upper slim side of the contacts. The 2 pit dots near the edges are missing. 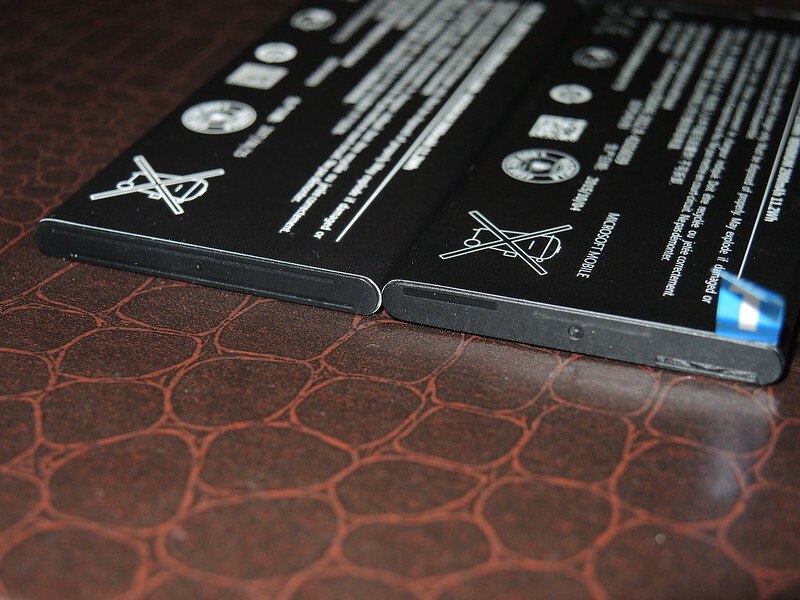 On the bottom slim side of the battery there are 2 slim long lines, instead of 2 short wider lines. My phone works, but I haven't tested charge cycles of duration to check the output of the new battery. The seller still says it's an 100% original, but has offered me a return with money back. With those last year's Samsung mobile boomers, more and more sellers banned airmail or all international li battery shipment. This type of battery is out of stock in Greece. And the usual Amazon sellers, exclude my country from shipping. Is this a legitimate original, perhaps an upgrade or review, or a bloody fake one? Anyone has seen or used one of them? Honestly, I can't say with the 950 specifically but I know that batteries can vary in the same model. I know with my little Palm Pre/Pixi collection that they all use the same BP1 battery type but there are minute variances between them such as some having the white rectangle moisture sensor and having small cosmetic indents where there were none on newer (?) slightly modified iterations. I know for a fact that all are genuine and were just made in different production runs. What I would do is inspect the lettering for telltale grammatical/spelling errors and see if the battery is working as well as it should. Also, I honestly would think that people would rather use their resources to make non-original batteries for more popular models with a larger target market like the iPhone or Galaxy phones than faking a relatively obscure 2015 smartphone. Laura Knotek, libra89 and TechFreak1 like this. If it works same as "original", why do you care what it is? 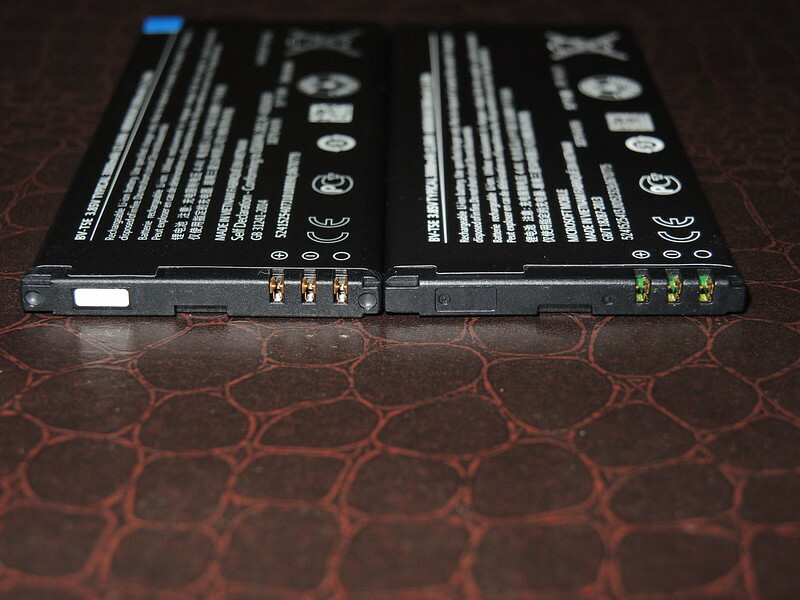 Btw, there are NO "original" L950 batteries on the market, so which ever you buy it will only be a substitute. Well, the OP does have reason to be wary of a battery of dubious safety, but I would still guess this is legit. And there are bound to be original 950 batteries, whether pulled from a working 950 or stock obtained somewhere. Laura Knotek, Guytronic and TechFreak1 like this. Dubious safety??? Where is any mention of that? 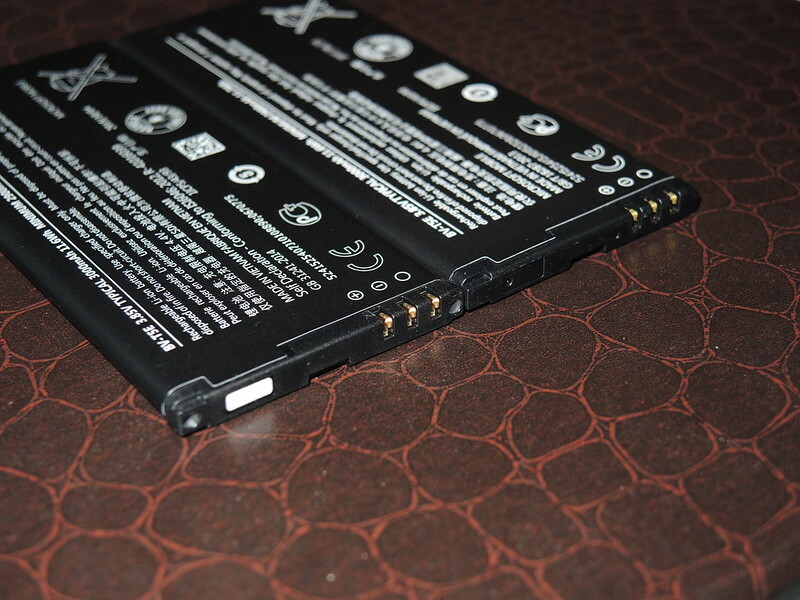 Please, tell me/us where I can buy "original" battery for L950, because I cannot find them anywhere. Please be polite to each other. Well one thing is what I've paid for. I paid for an original and I don't want to be played. Of course there's a safety issue. My phone's getting hot from day one. Well, this is highly interesting. I bought such a battery for my 950 just a couple of weeks ago, also from a German seller via Amazon (I live in Germany). My battery is identical to the one you have received, with a production date of May 2017 (not June). I have been grappling with the same question, if my new battery is an original or not. I would assume that our batteries are "fake", mostly because of the printed production dates. It seems highly unlikely that Microsoft would still be producing new batteries in May / June 2016 for a model that was discontinued some time ago. The other differences between our batteries and the original battery shown in your photos may simply be due to production cycle variations, but the production date seems to be a strong indication. - First of all, the battery is not a cheap rip-off, it does work. - The overall capacity appears to be roughly on the same level as my old battery, which has been in use for about 16 months (and is still working all right), maybe a bit higher. So no real improvement there. - The one thing I really noticed was the charging behaviour. The new battery takes quite some time to charge, irrespective of the charging method (I also own one of the Nokia / MS wireless chargers). Then again, that impression could be somewhat false, as it takes the phone a long time to get to about 75% percent, and then, all of a sudden, the remaining percentage up to 100% is charged in a flash. (To be fair, this may also be a problem with the phone software requiring more time to learn about the new battery's charge cycle in order to correctly display the percentage). - On some occasions I did notice some battery drain after powering up the phone in the morning (I power my 950 down completely over night), at times rather severe (more than 10%) and certainly more than I was used to from my original battery. However, this did not happen all the time and could also be a side-effect of the phone still having to learn about the new battery. - The battery appears to be somewhat cooler under load than the original one. I would certainly be interested to hear about your experience with your battery, should you decide to keep it. I am somewhat one the fence about this myself, but may just keep the battery, even it is eventually only used as a backup for the original one. You have been played, because there are NO original batteries for that phone on market, not even in certified service centers. All you can get or find is OEM replacement. Or surplus batteries that were removed from damaged phones and resold as parts to recoup any money lost on the phone as a whole. TechFreak1 and aximtreo like this. I bought what was an OEM replacement battery for my last 950 XL and it had all original labeling, but the maufacturer date was not from 2017...hope you all did not pay too much for those based on the lableing? This one was 22 Euros + shipment. Ι already ordered one from another seller. I'll see what I get and I will decide if I return it. I don't have any problems with high quality branded replacements. But there are only a few aftermarket solutions for my phone. Your comments are intersting - i recently bought a new battery that i assume is a 3rd party copy from Amazon. It all seems fine, although the printing is a muhc thicker font. Also, i agree it takes longer to charge - maybe its missing some clever fast-charging proprietry circuit that was in the original MS version? But at least slow charging should be more gentle and help it last longer. I got the exact same battery, manufactured 06/2017. I tested it... no fast charging support, it charges 22% per hour. I returned the Genuine 100% fake and got a battery from local service channel, its not cheap (40€) but finally original, fast charging 57% per hour and it looks the same like my old one with only difference in manufaturing date. Also water damage indicator sticker is present. So it is still possible to get some. The B2X app says replacement battery health as "good". But it also say that with original faulty battery, so take it with a grain of salt. 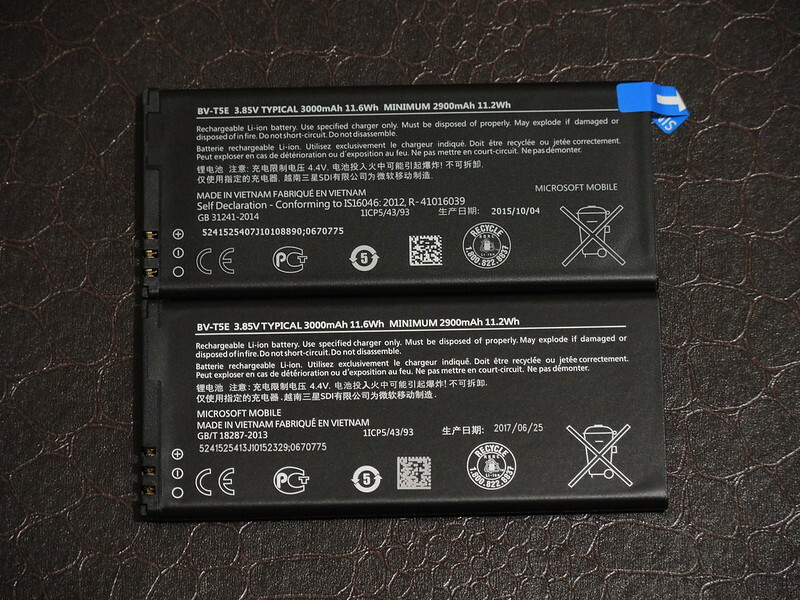 This new "OEM" battery does look exactly like the original in every sense, except for manufacturing date (2015 orig vs 2016 replacement). Some of the serial numbers in the back where marked with black sharpie and the Microsoft logo on the front was covered with black tape. So the seller went to great efforts to conceal this battery as coming from Microsoft. Knock offs do the opposite, they try hard to make it look as it was an OEM battery. My hunch is these are contraband, but original nonetheless. All in all, 3 days since I got it. Get 24 hours between charges with moderate low usage. (background settings optimized). I am really happy with this battery so far, and everything points out to be original. It cost me $16 on ebay. I just bought from aliexpress a battery which is very close to the op photo but is made in china in 2015 with the white band in the left corner and the 2 pit dots in the corners that resembles the original. Last edited by nikosxri; 10-22-2017 at 06:27 PM. Beware of the $12 battery on Amazon with the white label. It has not worked out for me. Phone reboots or powers off when I hit the unlock button, and sometimes won't power up at all. So glad to see your post. I just bought a battery for my 950 from walmart.com and then saw this thread. Hope you are correct and it's legit and from MS.
Got the walmart.com battery today. If it's a fake, it's a really good fake. It has "Microsoft" etched into the back just like the original. It came fully discharged, and withing 30 minutes, it was up to 65% so fast charging is working and I'm convinced this is a MS battery. I've been having trouble making it through the day, so hopefully that will improve. I'll report back in a few days. Well I'll just leave this here.....and hope. Folding Surface Arm Device Phone/Tablet??? To become an ethical hacker.